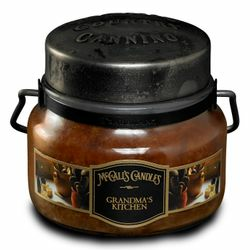 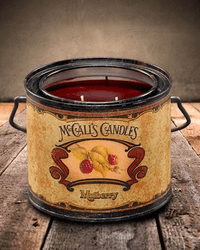 Enjoy deep discounts on McCall’s Candles closeouts, overstocks, and sale items. 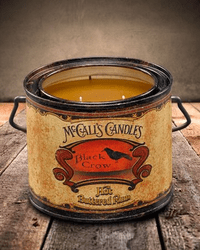 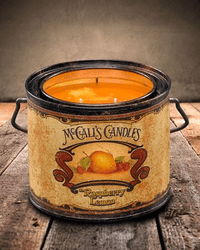 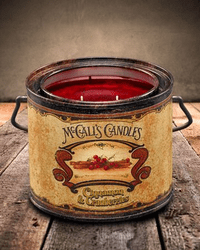 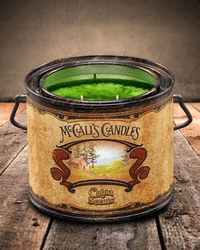 All of their Classic Jar Candles feature the signature rustic metal lid stamped with the McCall's Country Canning logo and decorative handles that are securely fastened around the neck of the jar. 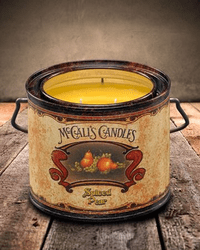 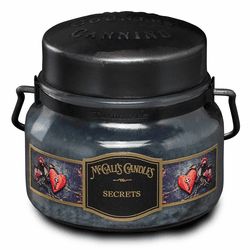 The Classic Jar Candle is available in select McCall's Fragrances. 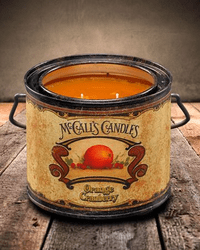 Straight from the Florida Keys (well, McCall's! 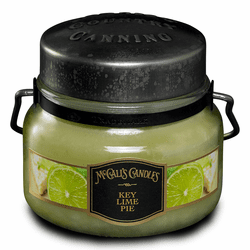 ), tart key limes are combined with sweetened condensed milk to create a perfect creamy thick citrus pie with a classic flakey crust. 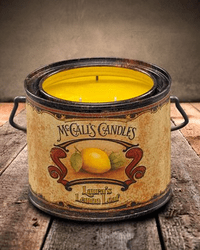 Fresh, light and perfectly summery! 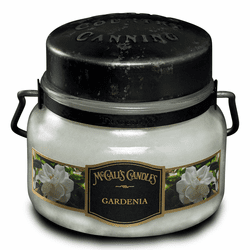 Dewy petals of jasmine, lily and bellflowers mingle playfully with vanilla and sandalwood in this crisp air accord. McCall's has packaged the signature notes of a country store! 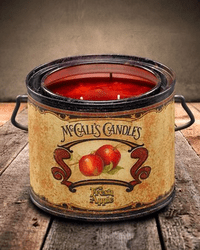 A tangy blend of rosehips, oranges, apples, cinnamon and spices. 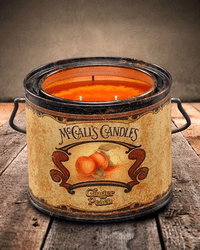 A captivating blend of nutmeg, cinnamon orange and cloves. 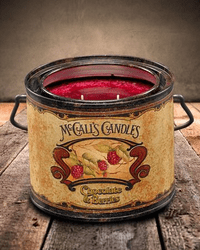 Sweet, tart and delicious fresh Mullberries delight your senses in this burgundy treat. 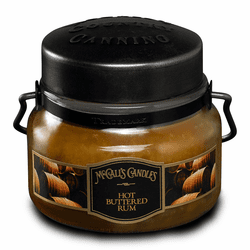 A striking blend of nutmeg, cinnamon, orange and cloves. This autumn favorite will knock you off your feet. 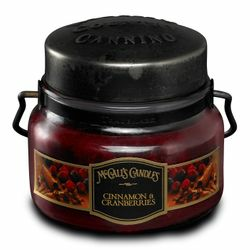 Perfect for warming up those crisp fall evenings. 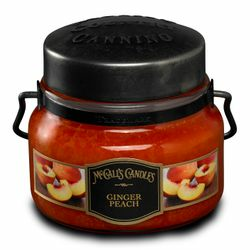 Spicy, juicy and fresh. 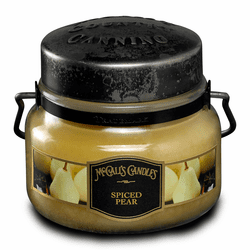 Not your typical spiced pear. 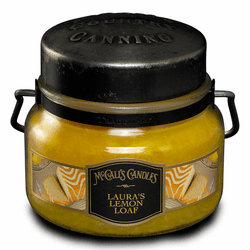 This is a melody of fruits with a cinnamon note.